Today every business, small and large, needs professional IT direction. The strategy of most businesses depend on it. Owners and managers need to know the best mix of technologies for their business, and have complexity – including IT vendors – managed for them. This is the purpose of our Virtual CIO service. Virtual CIO services are available at a reduced rate to our Managed Services customers. 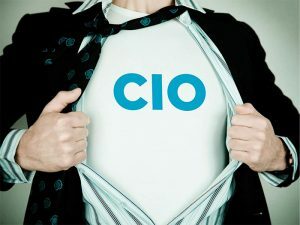 A Virtual CIO is an outsourced and virtual Chief Information Officer (CIO) that works for your company on an as needed basis. The Virtual CIO will provide help define policies, assist with staffing, review budgets and provide technical guidance to the executives of your company. The best part is that you will not have to pay a salary! Use just the time you need and experience the cost savings, higher productivity and improved profitability! Why have a Virtual CIO? Smart businesses outsource what isn’t their core business. Kirtech manages every aspect of IT, from support to strategy, with our Virtual CIO leading the charge. First, your Virtual CIO learns about the challenges and goals of your business, and about the systems being used today.